Triberg in Baden-Württemberg is located in the middle of the Black Forest and has lies between 500 and 1038 meters above sea level. 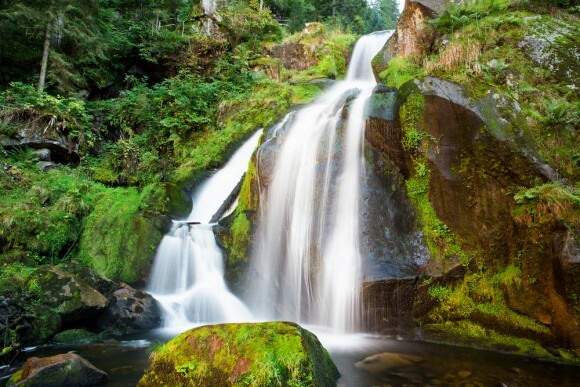 The town of approximately 5400 has one of the tallest series of waterfalls in the Gutach River, the Triberg Waterfalls, which has relatively easy public access. 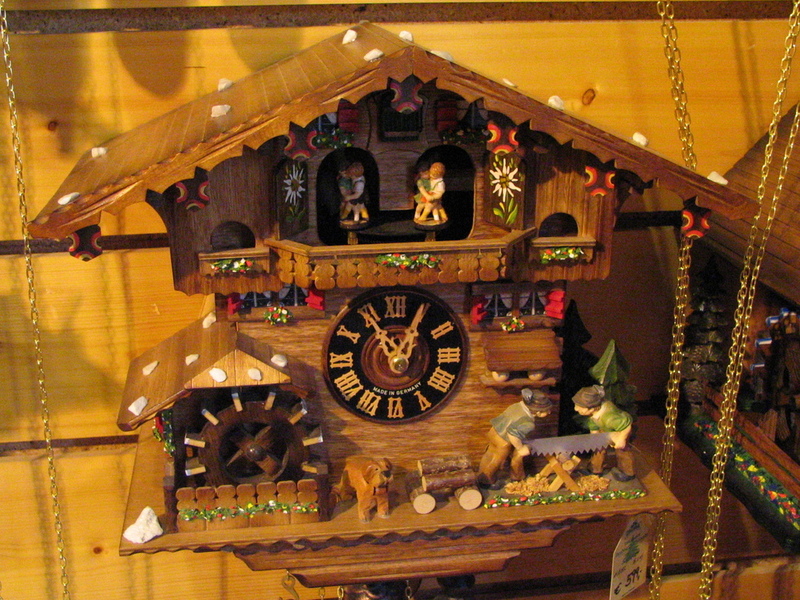 Triberg is also known for its beautiful countryside as well as cuckoo clocks. While living in Germany, a visit to this beautiful town should not go amiss. The Black Forest Museum is in Triberg and this has the largest collection of barrel organs in Europe. There are also wood carvings and traditional costumes on display. Next to the church (which has an elaborate high altar) you will find the Mesnerhäuschen (the sacristan’s house), a small half-timbered house that is the second oldest house in Triberg. It dates back to 1697. It seems that everywhere you go in Triberg you see cuckoo clocks. If you wish to buy one as a souvenir, then head for Oli’s Schnitzstube or the House of a 1,000 clocks, where you will find hand-carved cuckoo clocks of superior quality. You will also find here Europe’s biggest cuckoo clock – you can’t miss it! This is a great place to take children who can romp and play in natural surroundings. There is also a stage where cultural events are held against the backdrop of the beautiful black forest, with seating for around 300 people. At one time there was a castle in Triberg, although it no longer exists. The castle was built at some time in the 13th century. However the castle gardens are now open to visitors and you can have a look for the ruins which are all that remain of the castle. The gardens are perfect if you need to rest after a hard day of walking around Triberg on a shopping expedition. The carved wooden council chamber is a masterpiece, with its depictions of Black Forest life. It is open to the public from 8:30 until 12:30 Mondays to Fridays and from Monday to Thursday it is open from 14:00 until 16:00. This is a restaurant located at Cl.-Maria-Hofbauer-Str. 19 and it is great for meals or simply coffee and cakes. Try the venison goulash for a change of taste, and don’t forget to try a slice of real Black Forest Gateau! This café-bar serves very good Italian cuisine and is centrally located at Haupstrasse, 83. This place is great for pasta and pizza (and ice cream) and makes a pleasant change from German meals. The Tresor Restaurant is also on Hauptstrasse at number 63. The dining room used to be a bank vault, so the interior is different to that of the usual restaurants. The beer and fish and chips are particularly recommended. From Wiesbaden: by road or by train. From Kaiserslautern: by road or by train. From Stuttgart: by road or by train.